Most industries and business sectors, these days, use technology to improve productivity and accuracy. So it’s no surprise we find tech becoming ever more deeply involved in HR, recruiting and talent acquisition. Using much of the same information and similar techniques to those used to predict consumer behavior and find the right “audience” to buy your product, employers can parse available data to identify and mine the candidate pool. Essentially, consumer relationship management software (CRM) is being re-tooled to serve as candidate relationship management technology. When you select the right software, you can leverage technology to make your HR role easier, help you bring in the right candidates for your open positions and help you make solid decisions efficiently. Some of the best technology to inform your talent search has to do with gamification. Some of today’s best recruiting technology uses the framework of online games or computer games to conduct candidate assessments. Job candidates are assessed in the areas of behavioral fit and skill set via carefully crafted simulations. This is a way for technology to try out, observe and evaluate an individual’s function in a variety of simulated situations. You no longer have to rely upon what the resume says the individual should be capable of; you can actually view how they perform in job-like scenarios. These high tech auditions or job simulations help the prospective employee as much as the employer. The results, typically shared with candidates, let job seekers know whether or not they are a good fit for their target company. Computers can conduct or observe interviews and collect telling data on vocal pitch changes, body language (including facial and hand/arm movements, pulse and much more. These technologies rely upon the applicant demonstrating skills and behaviors, rather than asking candidates to input truthful answers, or the answers they think you’re looking for. Beyond gathering candidate data, tech can also help you interpret the background data on the candidate, as well as their situational behavior, whether in an interview situation or a role-play simulation “game”. Consumer marketing technology and data turn out to be excellent models for companies marketing their brand, attracting and assessing candidates, and finding the best fit. Companies today must proactively market themselves as the best place to work day-to-day, and the ideal place to develop a career. 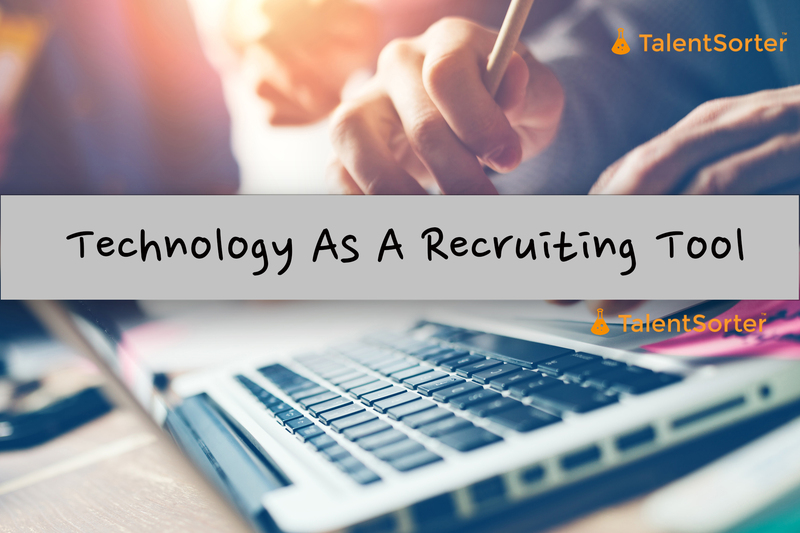 Technology, in the form of well-designed software solutions, provides a dashboard to help organize, automate and inform the recruiting and job candidate assessment process. The right recruiting and talent management software can save you time and money, while helping you make more informed and better recruiting decisions. This software must be built upon the most robust behavioral science data and the latest organizational psychology findings. Perhaps the best news is that the software that provides you an in-depth look at just the right future employees and supports you in making the best hiring decisions, can also be affordable for your company. There are lots of new entrants in the space with shiny, slick-looking products designed to dazzle, entertain and engage while promising to sort the stack…but many are questionable in terms of rigor and predictive science.